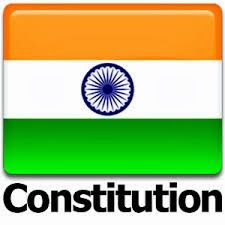 Schedules of Indian Constitution: The constitution of India contains Schedules of Indian Constitution from 1 to 12th schedules. List of States and Union Territories. Salary of President, Governors, Chief Judges, Judges of High Court and Supreme Court, Comptroller and Auditor General. Forms of Oaths and affirmations. Allocate seats for each State of India in Rajya Sabha. Administration and control of Scheduled Areas and Tribes. Provisions for administration of Tribal Area in Asom, Meghalaya, Tripura, Mizoram and Arunachal Pradesh. List of 22 languages of India recognized by the constitution. By 73rd amendment in 1992. Contains provisions of Panchayati Raj. By 74th amendment in 1992. Contains provisions of Municipal Corporation.